Wendy's 3-D Cats: 3-D CATS IN THEIR SPRING/SUMMER HATS! The 3-Ds are enjoying wearing their spring/summer hats. It sure beats those heavy winter ones! 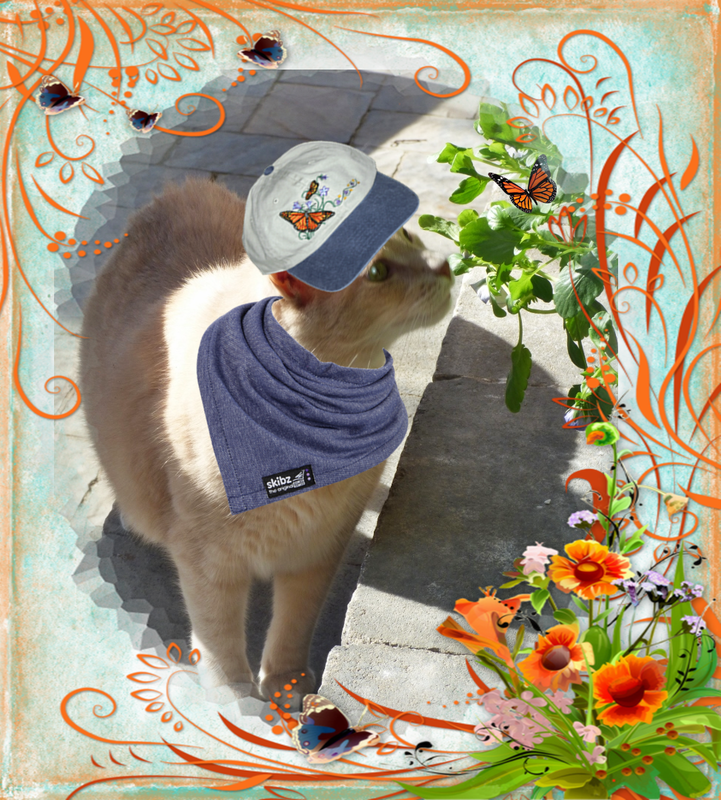 Dylan's got on his butterfly cap with denim peak, and coordinating neckerchief. 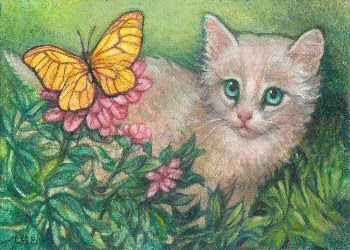 "Is good fur huntin' buttahflies", says he. And, it must be true because if he follows his nose he'll find one without any effort at all. "Da only fing I don't like is buttahflies in my stomack" remarks he. "Doan worry, liddle buttahfly, I'm not gonna eat ya -- I swear!" 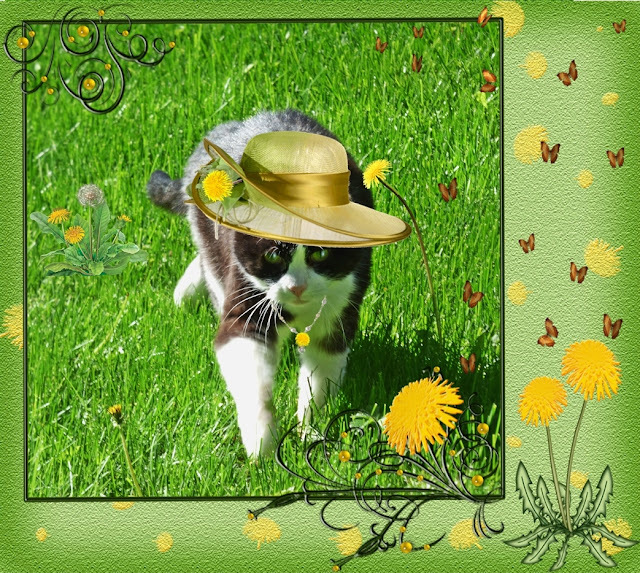 Domino is glorious in her gold summer hat complete with decorative dandelion. She also picked one to attach to her necklace. As if that wasn't enough, she is daintily strolling through a patch of those same yellow flowering weeds! But pretty soon dandelion season will be over. Then what will she do? 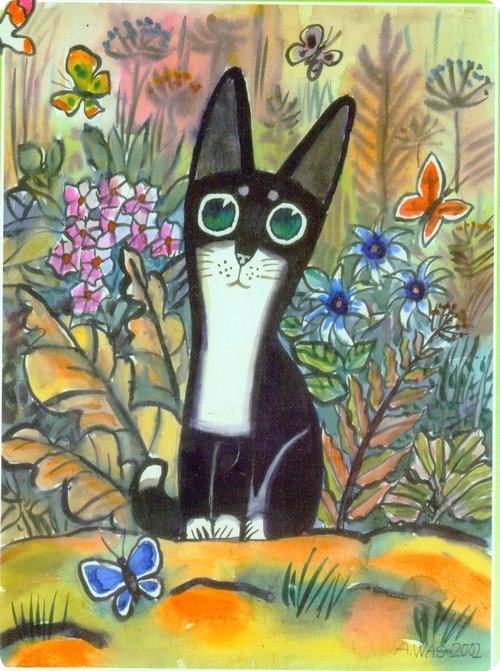 There are so many flowers in the garden that she can "take her pick"! With such an array of colours, what will she choose next? 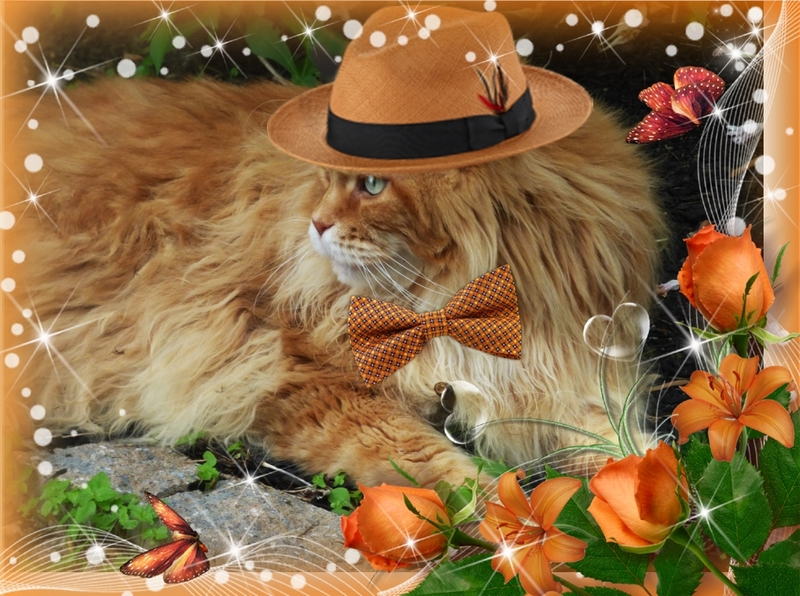 Dante's dappurr in his orange straw fedora and matching bowtie. 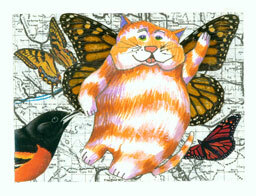 His bowtie (with its very own pair of wings) makes him 'mews' over the butterflies that are fluttering about. "Well, if you can't beat 'em, join 'em" declares he. "I'm jus' gonna wing it!" And so he does.